WEDNESDAY, Jan. 28, 2015 (HealthDay News) -- Almost 1 in 5 Americans 80 and older has weak strength in their muscles, according to new research from the U.S. Centers for Disease Control and Prevention. That number declines in younger age brackets, with just 2 percent of Americans ages 60 to 79 having weak strength, the new report found. A loss of muscle strength is common in old age and can impair daily function. For example, more than half (55 percent) of those older than 60 who had weak muscle strength had difficulty rising unaided from an armless chair, the researchers said. Fading muscle strength has also been linked to slower walking and "an increased risk of death" in prior studies, said co-authors Anne Looker and Chia-Yih Wang of the CDC's National Center for Health Statistics (NCHS). They published the findings Jan. 28 in an NCHS Data Brief. The researchers tracked government data for 2011-2012 from the ongoing U.S. National Health and Nutrition Examination Survey. The investigators looked at items such as data from physical exams and tests of grip strength. According to the study, for people over 80, women tended to be weaker in muscle strength than men, and Asians and Hispanics tended to fare worse than whites. 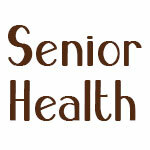 However, one expert stressed that getting older doesn't have to mean debilitating muscle weakness. The new survey finds that "82 percent of older adults do, in fact, have normal muscle strength," said Dr. Gisele Wolf-Klein, director of geriatric education at North Shore-LIJ Health System in New Hyde Park, N.Y.
That finding, she said, supports "other studies which have shown that older adults can successfully maintain an optimum physical condition in their later years through good overall preventive care, nutrition and exercise."